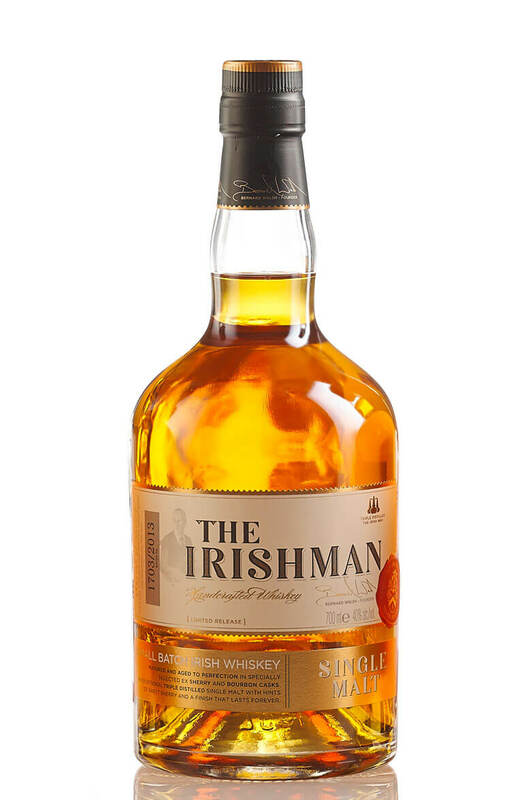 The Irishman Single Malt is a triple distilled malt sourced from the Bushmills distillery in County Antrim. A combination of bourbon and sherry casks are used for the maturation and these are carefully selected by Bernard Walsh with each bottling amounting to 1000 cases. This has a light a smooth character with flavours of vanilla, fudge and dried citrus fruits. The Irishman Superior Irish Cream is handcrafted using the finest luxurious Irish Cream. 100% Irish .. Exclusively available to Celtic Whiskey Shop, the Irishman Single Malt Coffee Stout Finish. A fantas..